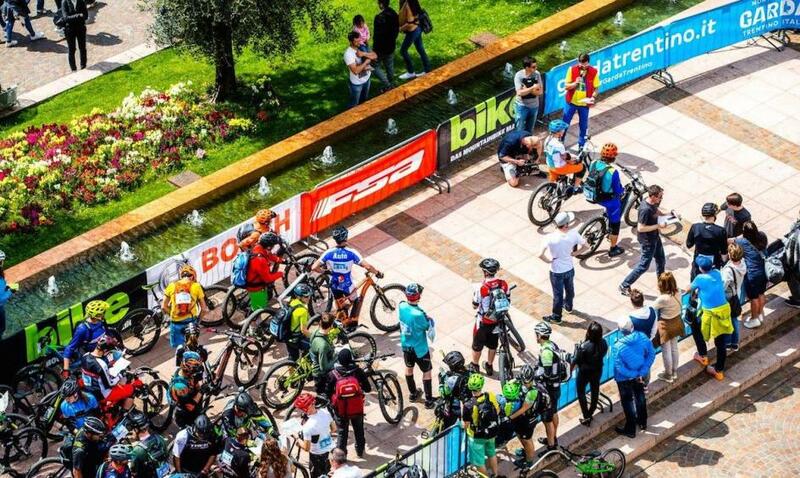 If you're new to MTB, or a road rider looking for the thrills of hitting the dirt and going off-road, it's handy to know what to look for when it comes to finding the right mountain bike. So check out our top tips on how to find the perfect ride to get trail-ready. First up, everything else is secondary to the right frame size. But don't rely on stated size – while many companies are switching to small, medium and large instead of increasingly inaccurate numbers, (seat tubes have been shrinking even as frames get longer), there’s no standardised idea of what, for instance, constitutes large. One brand’s large can match another's medium. Instead, you'll want to ensure that your bike is the right fit for you. Look for (and contrast) the reach (distance from the saddle to the bars) and stack (distance from center of crank to mid-head tube) measurements, and don’t be afraid to go longer than with a road bike. A long front triangle puts the axle further ahead, letting you weight it (for grip) without risking going straight over the bars at the first impact. It also helps with climbing by keeping your front wheel planted. Just don’t go so long there’s no standover clearance. You only need a couple of centimeters. A short seat tube gives good standover and the greatest room for maneuver, but make sure you can still get full pedalling height without overextending the seatpost. 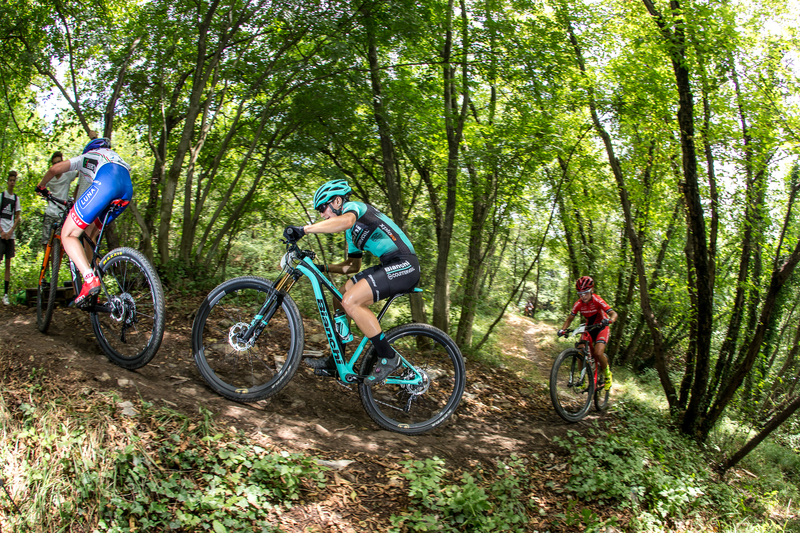 Note that 29ers have taller fronts, and that riding position can be significantly tweaked with alternative stems, bars and seatposts. Diameters have settled to an easy, binary choice of 27.5in (650b, aggressive trail and downhill) or 29in (XC and trail). However, wide-rimmed Plus sizes and the recent trend towards 29in downhill wheels are muddying the waters. While strong, stiff and light(ish) 29ers will undoubtedly become more common in the next few years – along with suitable tires and frames – for now the choice remains largely the same: favor bigger hoops for big miles, or smaller, stronger ones for smashing trails. Plus sizes can really pay off on hardtails, but they’re sensitive to tire pressure and there’s some question over whether they’re really here to stay. The rear shock, bearings, linkage and extra manufacturing complication of full suspension all cost money. Consequently, you’re likely to get a better parts spec on a hardtail over a full-suss bike at the same price. You’ll have less maintenance and fewer things to go wrong, too. On the other hand, full-suss bikes are now more advanced than ever, so their advantages can still outweigh their disadvantages. There’s no need to dismiss either, but forget needing to ‘learn’ on a hardtail before getting ‘a big bike’ – it’s a myth. Really, this one is preference. Weight is important, but off-road, strength is marginally more important. Flimsy has no place when random rocks, roots and ruts can grab at you from all angles – steering accuracy, cornering and confidence all suffer, dragging your speed down with it. It’s better to carry a few extra pounds and keep your bike out of the hedge. And out of the workshop, too. Don’t be fooled by a nice rear mech (derailleur): it’s common for these to be up-specced to help sell the bike. A quality mech is important, but so too are the shifters and cranksets – even the chainrings aren’t too far behind. Be aware that lower spec components are heavier, more rudimentary and not worth paying a premium for, so factor in your plan for future upgrades. FSA have a variety of quality MTB components available. Check the reviews of the forks and shocks (on full suss) on the bike you’re looking at, and use the manufacturer’s site to get the exact models. Note that OE (original equipment) units can be a different (often lower) spec than similar-looking aftermarket ones. Quality damping and a decent air spring will do far more for you than any amount of extra travel. Check for current/popular axle diameters and spacing, plus headset, bottom bracket and even seatpost diameters – you’ll struggle to get the increasingly popular dropper post (for changing saddle height on-the-fly) in the smallest diameter, for instance. Internal routing for ‘stealth’ droppers is also desirable, though what internal gear cabling/brake hosing gains in looks it can lose in noise and ease of maintenance. You will benefit from a dedicated trail helmet, with its greater coverage, stronger construction and decent peak. You may also want a backpack, plus glasses for warding off flying crud. Then there are sticky shoes for flat pedals, or mountain bike specific shoes, cleats and clipless pedals. You may also want new tires to suit your terrain, or simply because OE tires may use harder, cheaper compounds and/or heavier steel beads than their aftermarket namesakes. You may also want to tune your gearing, and almost certainly to customise the shape and size of your cockpit. On the upside, this all still counts as upgrading your bike!